Android System Recovery is a built-in feature that can be helpful if your Android device isn’t working properly or the touch screen is problematic. 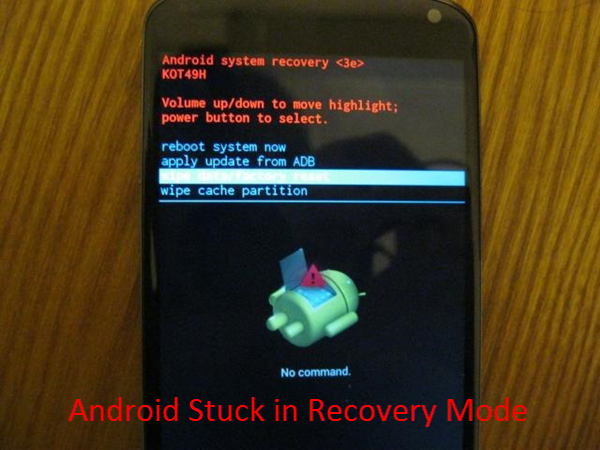 You can boot into recovery mode and use it to factory reset your Android device without having to access the settings. Also, it is frequently used to reboot system, update system from ADB, cache or external hard drive, wipe data or cache partition, install custom ROMs, etc. Step 1: Power off your device, or plug out the battery and reinsert the battery after a few seconds. Step 2: Once the device is turned off, press the Home, Power and Volume Up buttons simultaneously until your device vibrates. Step 3: Now release the Power button but hold down the Home and Volume up key to navigate to the Android System Recovery screen. Step 4: Press the Volume down key to reach the “Wipe Data/ Factory Reset” option and then use the Power button to select it. Step 5: Press the Volume down key to highlight “Delete All User data” and then select it using the Power button. Step 6: Your device will reset and display “Reboot System Now”. Just press the Power button to reboot your phone in normal mode. Note: The process is slightly different among different Android devices, so please check your device’s manual before doing these steps. 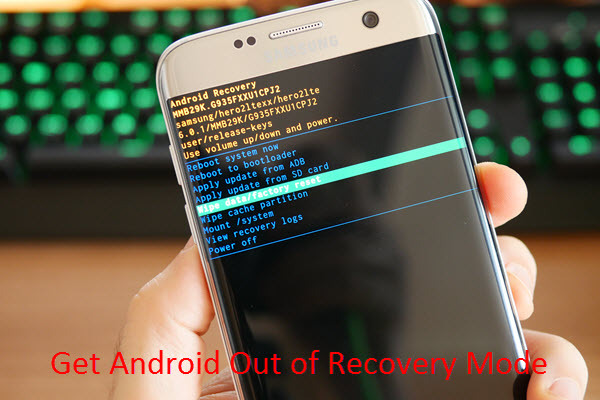 By following the steps above, your Android device should get out of recovery mode and back to normal, but unfortunately your data would be lost. How to get back your lost data? 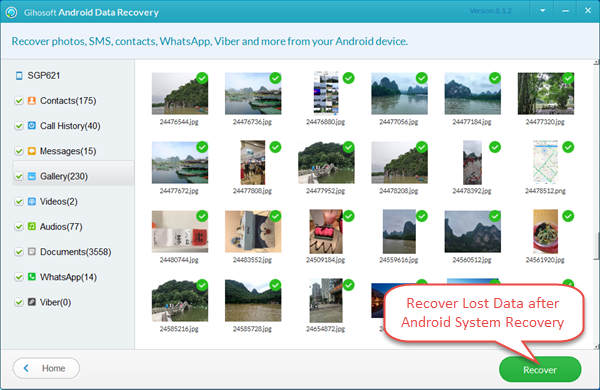 Here we recommend Gihosoft Android Data Recovery Free, provides easy way to recover lost Android data, including photos, videos, messages, contacts, WhatsApp & Viber chats, etc. It supports all Android models, such as Samsung, Google, HTC, LG, Sony, Motorola, Huawei, etc. Run this free Android Data Recovery, select the files you want and tap “Next” to connect Android phone to PC. Once the device is detected by the program, tap “Start” to begin scanning lost data from it. After that, preview the scanned files and select those you want, then tap “Recover” to get files back.